Oppo smartphone company thinking about the speed for charging the handset when users driving a car. Oppo Launched the new SuperVOOC car charger for those customer who love to travel and charge their smartphone while driving. This device having a decent charging time. 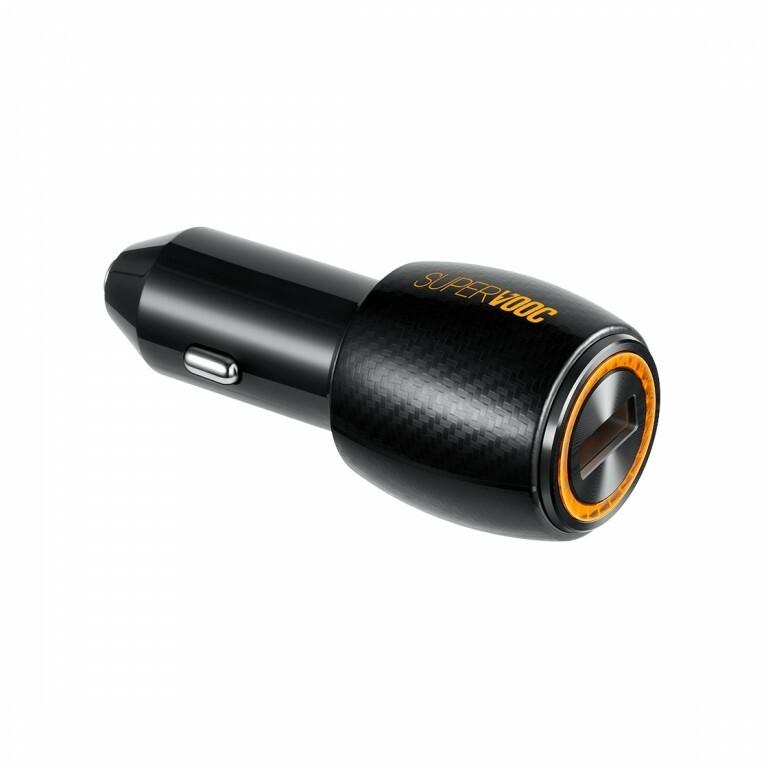 This Device is made with the carbon finish in its upper part and orange LED light is glow when user plugged the device in the car . Aside from the SuperVOOC capabilities. This Device is a standard car charger with a USB port. However, the main selling point of this charger will be its 50W charging that will be compatible Oppo Find X Flash Edition, Oppo R17 Pro and Oppo Find X Lamborghini Edition. You can also charge your R17, R15, R15 Pro and R11s with this device, but there are limited to standard VOOC that fills the battery at 20W. Of course, you can plug any other phone, but then you’ll be limited to 5V/2A.